What is a whoopie pie for goodness sake? Is it a humongous cookie? A mini-cake? Pie?!? 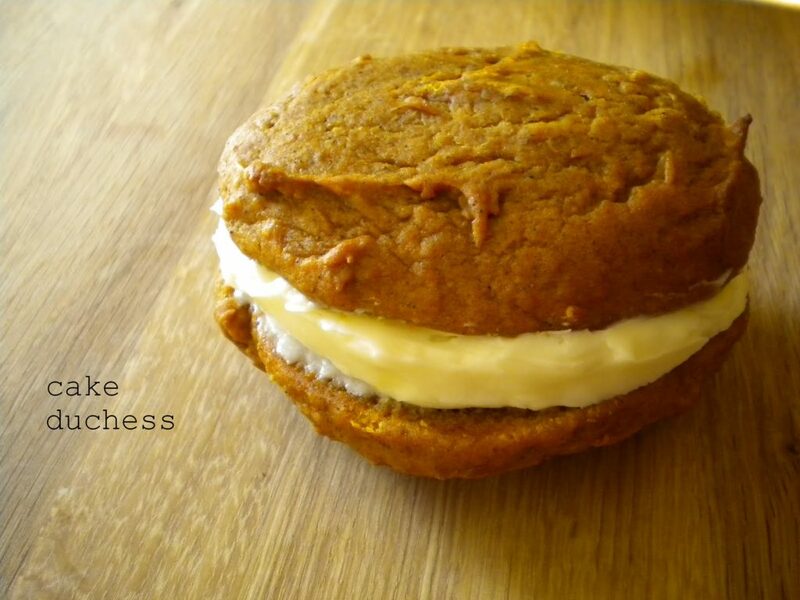 A whoopie pie is all soft cakey yumminess that is a cookie sandwich! Yes, two layers of this delicious and moist cake/cookie hybrid stuffed with frosting! You may have died and gone to Heaven when you eat one of these. Over the top American scrumptiousness at its best. 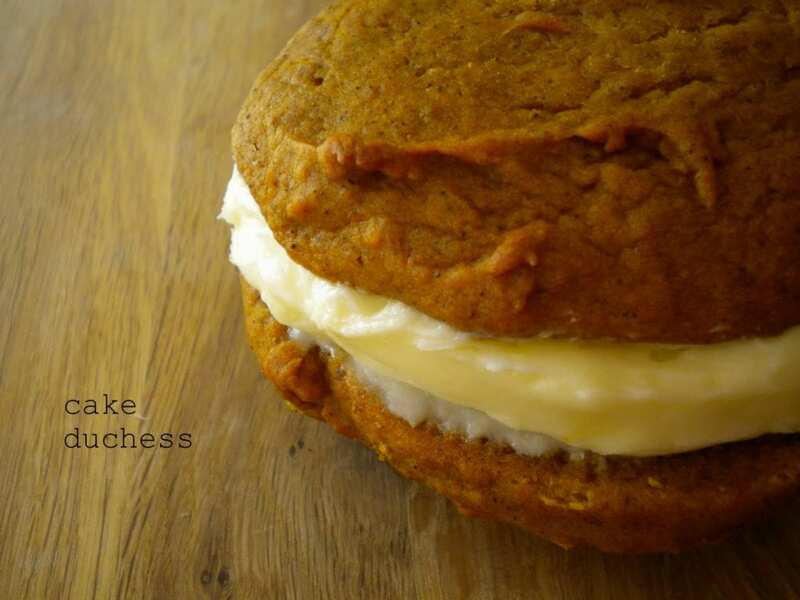 Whoopie pies can be made in any flavor, but what is better for the cooler weather than pumpkin! I love the smell of any thing with pumpkin baking: Pumpkin Pie, Pumpkin Bread, Pumpkin Muffins. You won’t believe how easy these are to make. If you don’t like the super-sized version that I made, you could make minis. Directions:Preheat the oven to 350°. Line two baking sheets with parchment paper. In a medium bowl, whisk together the flour, baking powder, baking soda,salt and spices. In a large bowl, whisk together the melted butter and brown sugar until smooth. Mix on medium speed in the eggs, pumpkin puree,and vanilla extract. Using a rubber spatula, fold in the flour mixture. Using an ice cream scoop or tablespoon, drop 12 generous mounds of batter, spaced evenly, onto each baking sheet. With floured fingers, gently press down on each scoop to flatten the shape a little. Bake until springy to the touch, about 10 minutes. Transfer to a rack to cool completely. Cream the softened butter with the cream cheese. Add the confectioners’ sugar, salt and 1/2 teaspoon vanilla; mix on low speed until blended, then beat on medium-high speed until fluffy, about 2 minutes. These are seriously, totallly, without any doubt: YUMMY!!! Do you mean 1 1/2 sticks of butter melted?